Everything Audio Network: Live/Studio ReviewAudix Performance SeriesWireless Mic/Instrument Systems"Pro Caliber Wireless Capability"
Ever since the first wireless audio systems were introduced by highly skilled radio engineers in the late 1950s, manufacturers have been striving to provide wider range, higher fidelity, and better reliability. For many years, transmitters only operated on fixed frequencies. If interference occurred, the engineer would need to break out another transmitter operating on a different frequency. Fortunately for them radio traffic was far sparser then. Today, the available RF spectrum is considerably more limited and the potential for interference is much higher. In an effort to keep up with the times manufacturers now offer systems that are capable of operating on many frequencies. These systems are known to be frequency agile. 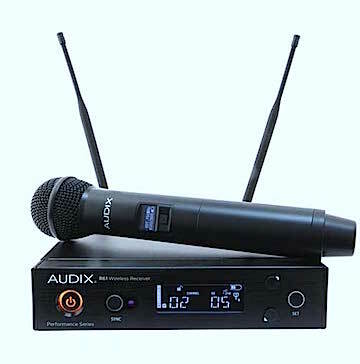 The Audix Performance Series wireless systems combine Diversity and True Diversity reception with their highly revered microphone capsules, sturdy construction, and two-touch operation to set the standard in high quality, moderately priced, easy-to-operate wireless systems. Audix is no stranger to microphone technology; the company has been making top-notch mics for over 30 years, including the live-sound vocal staples OM5 and OM6, the ubiquitous i5 and D6 dynamics and one of our favorite recording mics for piano and guitar: the SCX25A condenser. All Audix Performance Series systems share certain features. Among them are one-touch auto scan to search for a clear RF channel and one-touch sync that links the transmitter to the base via infrared beam. These two features provide a system of frequency selection and programming so simple a child could do it. An easy-to-read, high-contrast LCD display provides status information, including operating frequency, RF level, AF level, battery level, link loss indicator, and also provides a clear and intuitive programming interface. 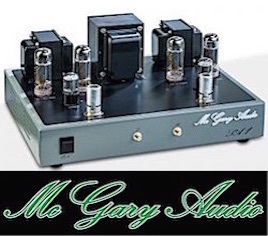 All of the systems are housed in a durable metal chassis and provide both XLR and 1/4-inch connectors for greater flexibility. A rack-mount kit is included with every 2-channel system complete with BNC cables to relocate the antennas to the front panel. What is particularly impressive about the Audix Performance Series systems are all the available options. Handheld, lavaliere, head-worn, and instrument microphones are the main categories of transmitter options. Within these categories, are numerous options for selecting various types of microphones depending on application. From there, the line is divided into two levels: the 40 Series offering Diversity operation and the 60 Series offering True Diversity operation. Diversity operation provides reception through two antennas that are internally combined and processed by one radio module. True Diversity operation provides reception through two antennas that are internally combined and processed by two radio modules from which the strongest signal is continually and seamlessly selected. 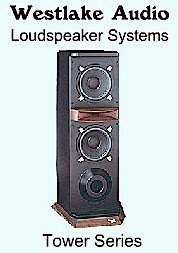 Both 40 and 60 Series systems are available in single-and dual-channel models, a unique feature in these price ranges. Our test samples included the AP42 C2 Guitar package, priced at $1,000 retail and the AP61 OM5 wireless mic package, priced at $800 retail Prices range from a basic wireless mic system ($500 retail — all the way to $1,500 for more comprehensive needs. The Audix 40 Series receivers feature 106 pre-coordinated frequencies over a 32 MHz band. When combining multiple systems, up to 16 unique channels may be used simultaneously. The 40 Series systems are designed for a 300-foot operating range. The 60 Series receivers double the bandwidth to 64 MHz and increase the number of pre-coordinated frequencies to 207. The 60 Series receivers also offer the ability to manually tune in to 2,560 individual frequencies. The wider bandwidth also allows for more systems to operate. Up to 24 unique channels may be used simultaneously. The operating range is increased to 450 feet. To simplify operation, ALL transmitters are 64 MHz and will work with both the 40 Series and 60 Series receivers. No need to keep track of which transmitters go with which receiver. Also available as an optional accessory is the ADS48 antenna distribution system to help simplify multi-system set-ups. Up to four single channel receivers or 4 dual channel receivers can be combined with each ADS48. This means that 8 channels of wireless can be combined on one distribution system taking up only 5 rack spaces. This is an excellent feature! The first thing I noticed about the review sample of the Audix Performance Wireless System H60 was the solid and sleek build quality. The handheld microphone exhibits an attractive style, is easy to hold and its well-voiced tone is what I expect from the Audix camp. Ergonomically, the receiver has a large display, nice, soft, touch buttons and the sturdy feel of a professional quality unit. 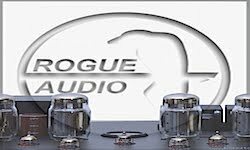 To confirm operability and to get to know the Audix operation parameters, I powered the two systems up in my home studio to become familiar with the products before taking them into the field. Ultimately, I used 60 Series for most of the field testing. Ease of operation was clearly a strong focus of the Audix design team. Setting the frequency was as simple as pressing and holding the up or down button on the receiver, waiting about 10-15 seconds for a clear channel to be selected, and then pressing the “sync” button on the receiver while holding the transmitter in front of the unit. That's it. No rotary switches. No math. No degree in Radio Frequency engineering needed. Audix has successfully incorporated high-performance into their wireless systems. Quite simply, the clear, natural vocal sound, along with Audix's clean, wireless signal path, competes with any system out there, especially at these price points. I plugged the microphone receiver into a small PA system for a quick test: a Mackie 1H604 VLZ with 2 JBL 515XT speakers. The resulting signal was dead quiet with none of the low-level hiss or interference sometimes present in wireless mics. Sound quality was excellent. Side by side with my Shure Beta SM58 dynamic microphone, the Audix H60 transmitter fitted with the acclaimed OM5 dynamic cardioid capsule, performed very well. 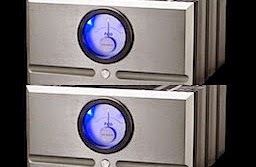 The system relayed a full, rich signal and exceptionally broad dynamic range. One of my concerns with using modern wireless microphone systems is that companies apply dynamic range compression to the signal at the transmitter, and often times the compression is too heavy handed for my tastes, resulting in a squashed, boxy sound. That was not the case with the Audix. The H60 handheld transmitter does a great job of handling soft, intimate passages and louder transients with no tonal coloring — providing all the dynamic response of a wired mic. 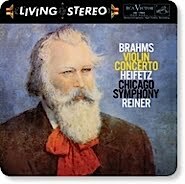 This is a really good sounding wireless system! The menus on the receiver are simple and intuitive, and I found that the default settings worked quite well — with one exception. Instead of leaving it active per the default settings, I elected to lock out the mute button on the transmitter. 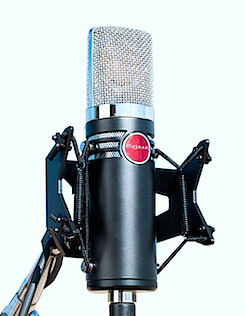 It's a very useful feature to have as I was going to be giving this to a singer that had never used it. The mute button, although recessed, is prominently positioned in the middle of the mic. I did not want any unintended dropouts because of an inadvertent mute activation. To change back to the default mute active status, you make a change to the transmitter setting via the receiver menu; a re-sync is required to insure the previously saved settings are overwritten. I plugged in the B60 instrument transmitter and tested the Audix Performance Wireless System with my Custom Epiphone Casino Elitist (the made-in-Japan model) into a Marshall JMJ30 tube amp. The JMJ is a handmade amp closely modeled after the fabled Vox AC30. This setup is widely known for the chiming sound quality generated by the Gibson P90 single coil pickups (similar to the Elitist P/Us), combined with an incredibly clear, Top Boost tube amp channel. 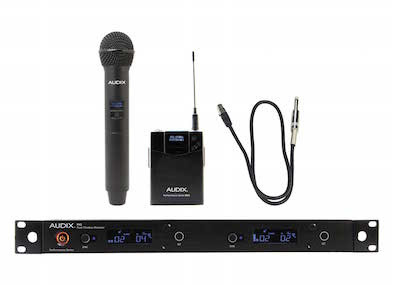 To test the wireless instrument sound quality quotient, the Audix wireless would be replacing a 20-foot Belden 8218, low-capacitance guitar cable with George L connectors. Matching the tonal quality of the Belden cable would prove to be a tall order for the Audix Performance Series Wireless B60 body pack transmitter. But the Audix delivered. The bright, airy, guitar chime came through mostly intact, compared to the Belden cable. Plus, the Audix was very quiet as far as background noise that always seems to permeate long, passive, instrument cables. I have never come across a wireless system that handled my guitar so well. The real value of this transmitter became evident when I added my pedal board to the rig. The difference in response and tone was nil with the Audix, and as a guitarist, the ability to walk around free, unencumbered by a cable, is truly liberating! Both 40 and 60 Series systems provided excellent range — more than 200 feet without a single dropout. I also put the 60 Series system through a vocal field test with a variety band in a medium-size club setting — about 350 people. The console was a Presonus StudioLive 24.4 feeding audio to JBL 515XT speakers — with subs and vocal wedges. The band's female lead vocalist had been using a comparable wireless mic for several years and agreed to try the Audix wireless for lead vocal. Setup was quick; I performed the frequency scan and sync without incident. The singer, who was used to being vocally processed with compression in the vocal channel, was shocked at how different she sounded using the Audix rig. Since she relied on extensive compression from her normal wireless to handle her typical live vocal performances, it took her a bit of time to get use to the much-more natural, live, dynamic audio quality of her voice through the Audix system. Her vocal really opened up. I was really impressed with her voice via Audix, as I prefer less processing on good singers. Besides, why would anyone want to color or compress such good audio quality? Audix has successfully incorporated high-performance into their wireless systems. Quite simply, the clear, natural vocal sound along with Audix's clean, wireless signal path competes with any system out there, especially at these price points. If you are looking for a high-quality, great-sounding wireless system for music, presentations, stage or other types of audio productions, Audix's new Performance Series wireless systems are worthy candidates for purchase. There are a wide variety of configurations available to suit virtually any requirement, and the ease of setup, along with the incredible bang for your buck, puts them at the top of my list. 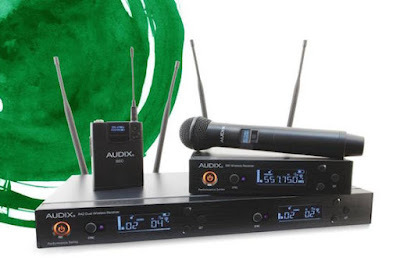 The Audix Performance Series wireless systems also earns an Everything Audio Network Stellar Sound Award. Dave O’Brien is a sound engineer who has worked in the professional broadcast industry for over 20 years. He is also a musician who lives and works in the Washington, DC area and a regular contributor to the Everything Audio Network. Articles on this site are the copyright of the ©Everything Audio Network. Any unauthorized use, via print or Internet, without written permission is prohibited..